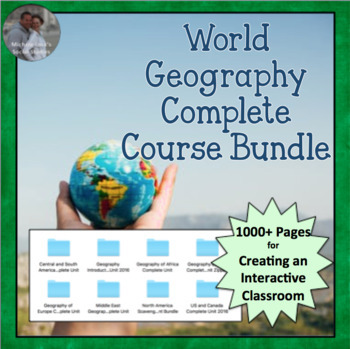 With over 1000 pages, this COMPLETE COURSE will help you teach all regions of the world in a Geography or Social Studies Course. 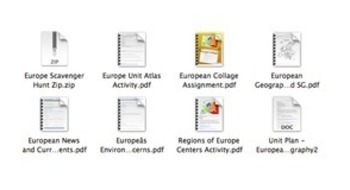 Organized in regional units, a unit plan is provided for each and all materials are included for teacher and student preparation in each folder. Updates are made on a regular basis (Be sure to check your purchases page!) to keep resources up to date and relevant. 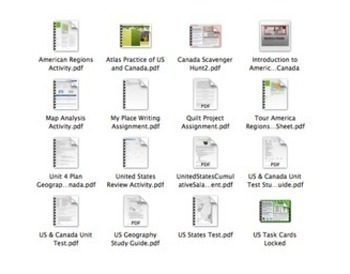 Each unit addresses common core and national Geographic (NCSS and NG) standards and includes student-centered cooperative activities, interactive lectures, analysis activities, atlas and skills reviews, scavenger units, task cards, centers activities or Walking Tours, review games, and so much more. Open Preview to view all files included in this complete course package or visit Complete Units in my TpT Store for additional detail on each unit. European Countries Scavenger Hunt Bundle - 230 Pages! Student Handouts provided for all activities. Teacher directions included for all activities. Unit Tests and Answer Keys provided, as well as unit projects. Each unit is also sold individually, as well as each product, in my TpT Store. See those product descriptions and previews for more detail on this complete course. 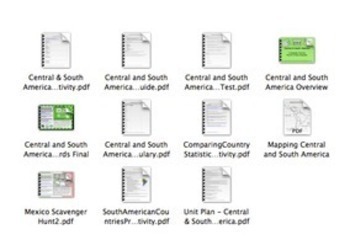 This product will provide all of the content needed for most middle and high school Geography courses. Textbooks are not required, but some activities do encourage atlas and/or internet use. Please use the Q & A Section for any questions or concerns you may have about this package before your purchase! This package is over a 40% discount from products purchased separately. It is also over a 10% savings from purchasing individual complete units! Multiple licenses are available for a greatly discounted rate in addition to regular savings to allow an entire staff legal access to all files and student activities. Visit my TpT Store for everything you need for the Geography, U.S. History, and World History classroom! Engage students with Walking Tours, Archeology Digs, Scavenger Hunts, Analysis Activities, and so much more!